Libya’s leader Muammar Gaddafi is ready to negotiate with the rebels to form a transitional government, head of Gaddafi’s press service said. 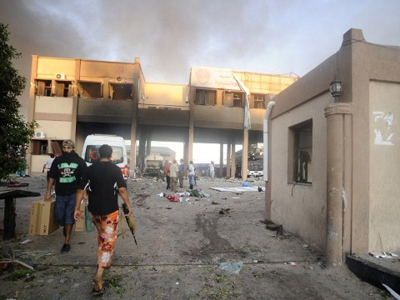 Rebels responded they would not hold talks with the Libyan leader until he surrenders. The sole focus of negotiations may be Gaddafi’s capitulation, said a representative of the National Transitional Council. "No negotiation is taking place with Gaddafi. If he wants to surrender, then we will negotiate and we will capture him," a National Transitional Council official also told on Sunday. 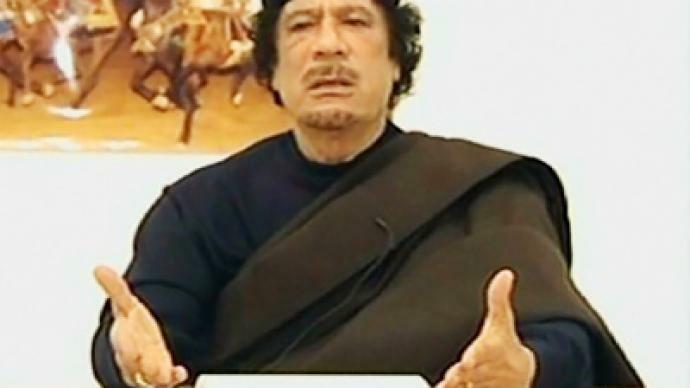 He said the rebels were unaware of Gaddafi’s whereabouts. On Sunday Moussa Ibrahim, head of Gaddafi’s press service, told the Associated Press that Gaddafi’s ready for talks with the rebels on transition of power. Gaddafi's son al-Saadi would be in charge of the negotiations. ­Political analyst on the Middle East, Dan Glazebrook, explains the reason Gaddafi’s proposal has been rejected is the same as the reason NATO countries decided to intervene in Libya in the first place. ­Meanwhile, rebel forces say they are preparing to attack the last major stronghold of Muammar Gaddafi’s supporters in his hometown of Sirte, where they believe Gaddafi himself is hiding. 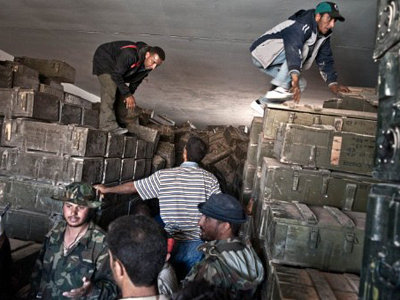 They believe this is the reason why loyalists in Sirte do not want to give up. 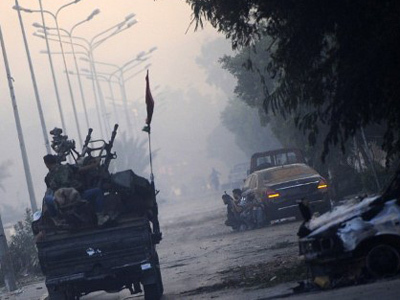 The Libyan rebel commander stated it will not take less than 10 days to take Sirte. 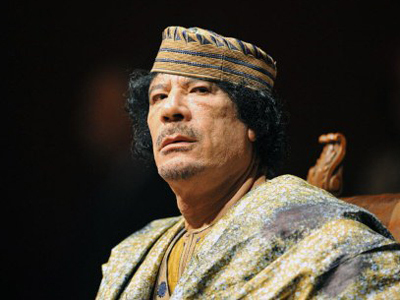 For the time being Gaddafi’s whereabouts remain unknown, with speculation that he could have left the county. 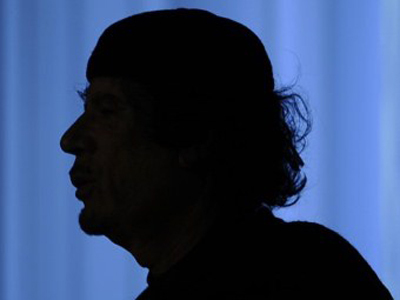 Egyptian state news agency MENA reported on Saturday that Gaddafi could have been in one of the six armored black Mercedes cars that crossed the border and headed to Algeria. According to Al Jazeera TV channel, the leader could have gone to Angola, while the Zimbabwean opposition claimed Gaddafi had arrived in Zimbabwe on a jet provided by the country’s President Robert Mugabe. Presently the rebels are 30 kilometers away from Sirte, says their military chief cited by Al Arabia. 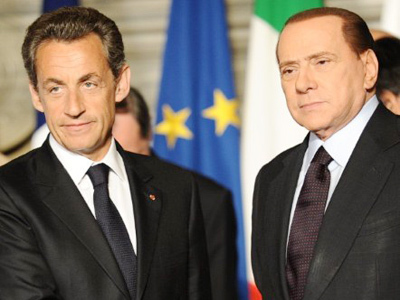 Earlier they claimed they are ready to attack if negotiations for a peaceful surrender fail. NATO has carried out multiple airstrikes above Gaddafi’s hometown, not just once, to help the rebels’ effort in the past month. On August 26, a headquarters bunker was bombed overnight in Sirte, and the next day it was reported that 15 vehicles and four other ground targets had been destroyed in the city. “Sirte remains an operating base from which pro-Gaddafi troops project hostile forces against Misrata and Tripoli,” a NATO official was quoted saying. In the meantime rebel forces reportedly control most of the country and also of the capital, Tripoli, which has found itselfon the verge of a humanitarian catastrophe. A spokesman for the rebels says his side have captured the coastal town of Bin Jawwad, about 560 kilometers southeast of Tripoli, after several days of fighting with Gaddafi’s forces. Spokesman Mohammed al-Rajali said Sunday that the Gaddafi loyalists fled westward and are likely to join regime forces in Sirte. According to Mazin Qumsiyeh, a professor at Bethlehem University, the Libyan rebels are the creation of Western countries which have their interests on the region.